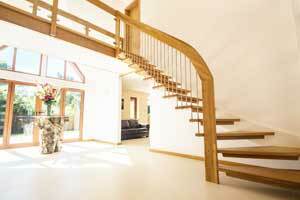 If you’re reading this, you’re probably here to find out the cost of a new staircase. Perhaps you want to replace an outdated flight as part of some renovation work, or maybe you’re requiring a new staircase for a new house. 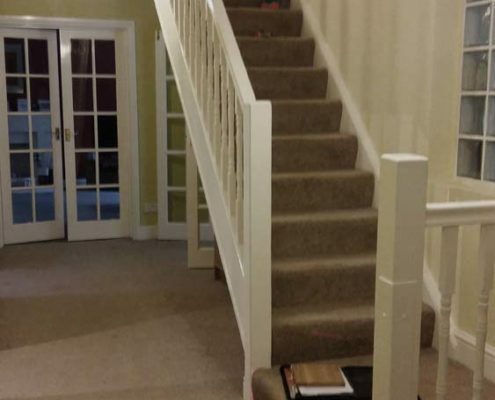 But just what is the cost of a new staircase? 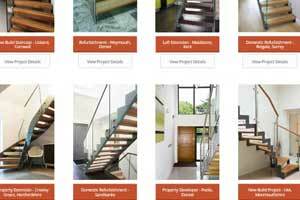 We have prepared this guide to help you budget for the right design. 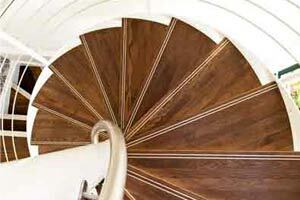 Obviously, the specification of the staircase will have a part to play in the cost as well as the shape and height. The prices displayed here are estimates based on our experience and research. They don’t include VAT or installation, and are based on a straight flight design with 13 risers. 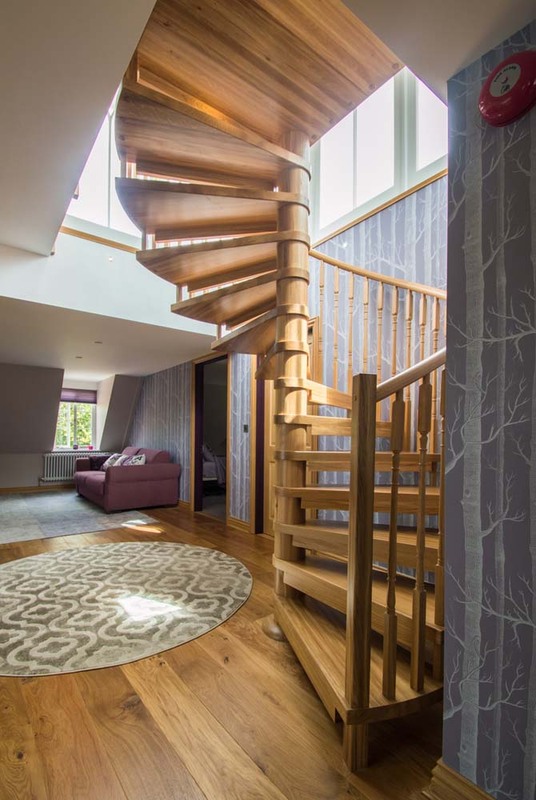 Starting from the bottom up, a basic conventional style staircase with Pine stringers and MDF / Ply treads and risers will cost around £1200 depending on the height and shape. This would generally be carpeted, and the stringer painted or varnished. 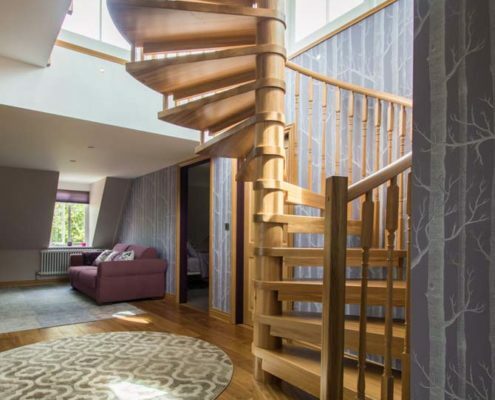 This sort of design can be enhanced with a hardwood stringer, spindles and handrail and maybe some glass balustrade to lighten things up. 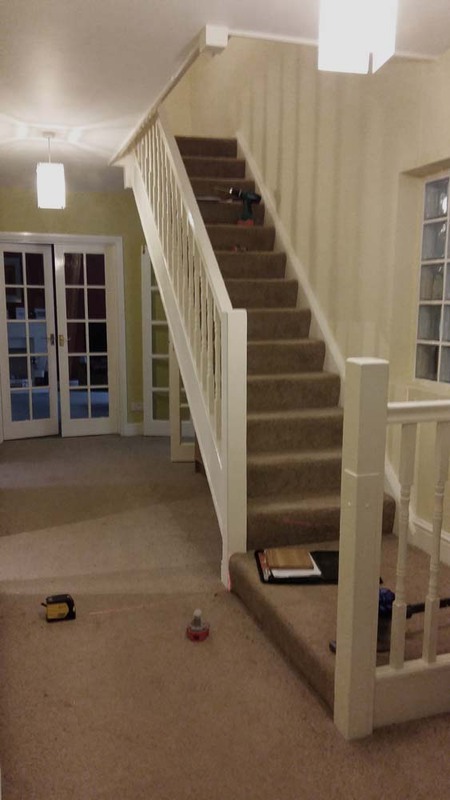 Then, if you remove the carpet, you could have open risers and switch the ply/MDF combo for a hardwood step with open risers for a more modern feel. This will cost a little more depending on the timber. 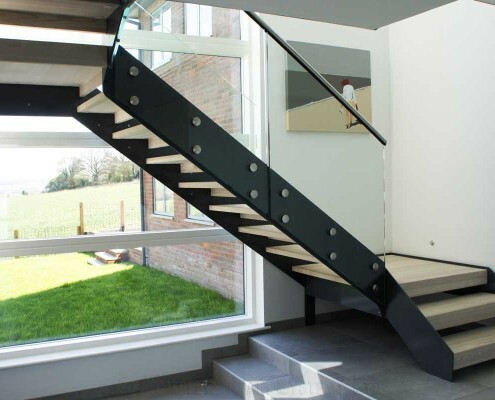 There are a number of modular stair kit units on sale in the UK from Europe which can offer an affordable modern alternative to a standard stair. These will all have open risers, hardwood treads and generally an interlocking steel spine. Many of these flights have an adjustable height and arrive in a box with full video fitting guides. They start at around £1500 and can reach around £4500 depending on the materials chosen. 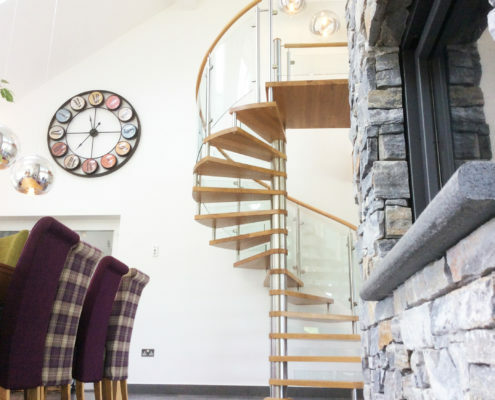 Given these models are supplied from Europe, it is worth checking that your application is suitable for the chosen staircase and that the specification of balustrade is applicable to UK regulations. 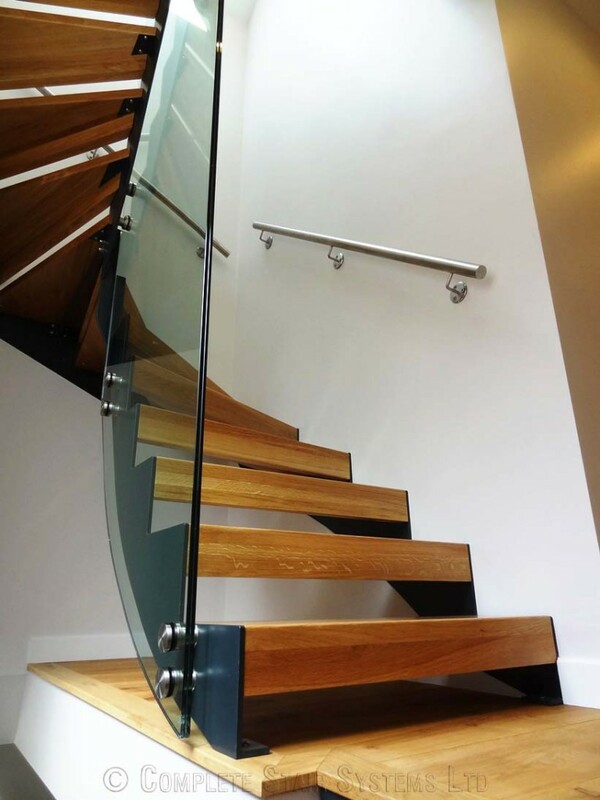 Glass is becoming increasing popular on staircases to help open up a hallway and allow the passage of light. 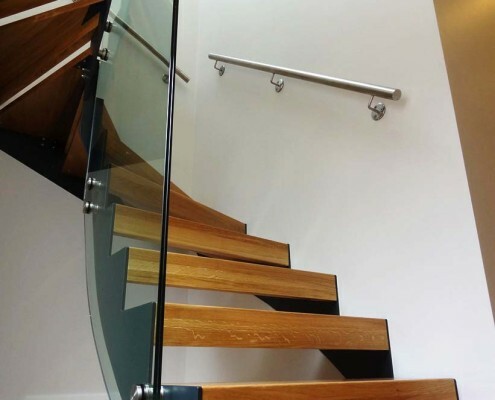 Many joinery firms now offer glass on their standard staircases, but there are also several solutions for those not looking for a carpeted stair and perhaps like the sleek appearance of steel. 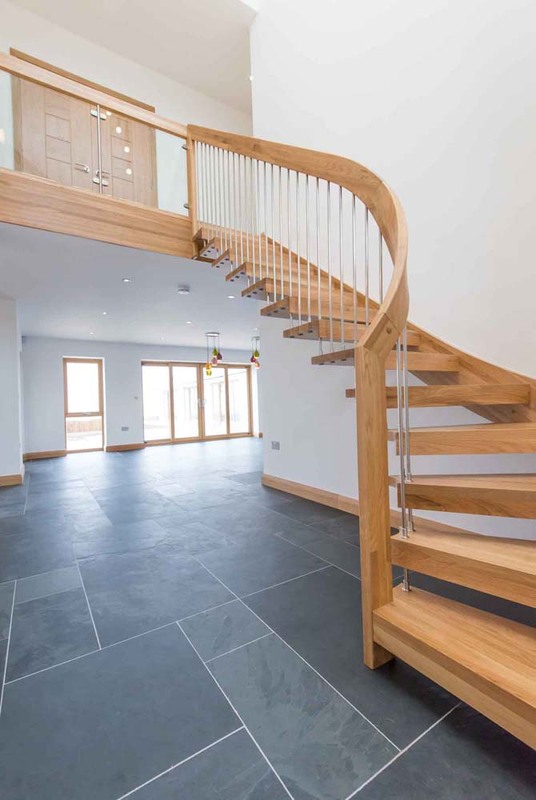 Steel is obviously much stronger than timber, so stringers can be 8-12mm thick instead of 30-40mm on a timber stair. 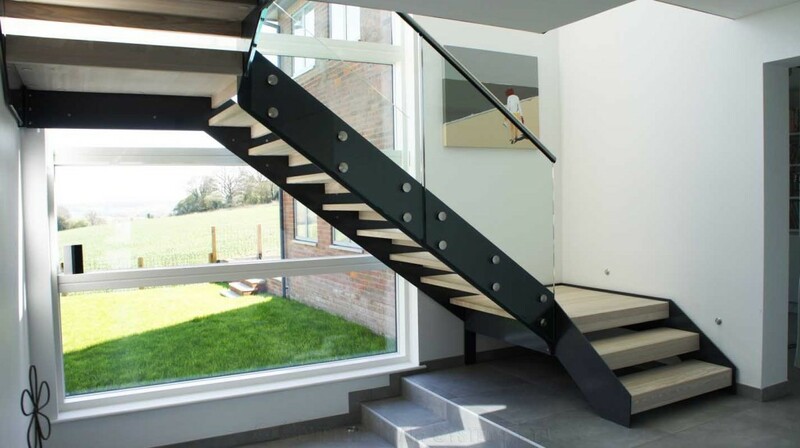 They also enable the glass to be bolted directly to them to form a frameless glass balustrade design. These flights will have timber or even glass treads and costs will of course vary from supplier to supplier and will depend on the shape and height of the flight. The costs below should give you a budget to work with. We have also listed the approximate cost to have a spine support underneath the treads. 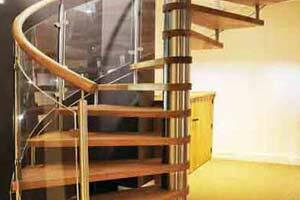 A spine staircase doesn’t require stringers either side, it has a steel beam running under the treads offering support. This results in the treads hanging either side of the spine, creating a nice cantilevered effect. However, check how bulky the beam is before you buy as some designs on the market actually block more light than a slim-line steel stringer option. 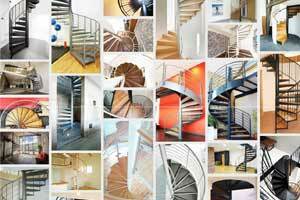 Spiral staircases vary dramatically in cost and will be driven by application, and then specification. 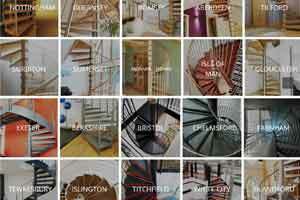 A small basic loft spiral staircase in kit form would start at around £1000, and a larger spiral suitable as the main stair in a house would retail at around £5000. It is worth getting several items priced when getting quotations to work out the variations and options – of which there are many. 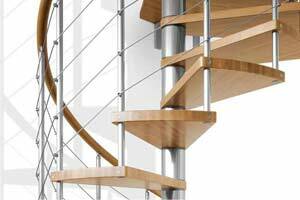 Two models which are the pinnacle of stair design are helical and cantilevered staircases. 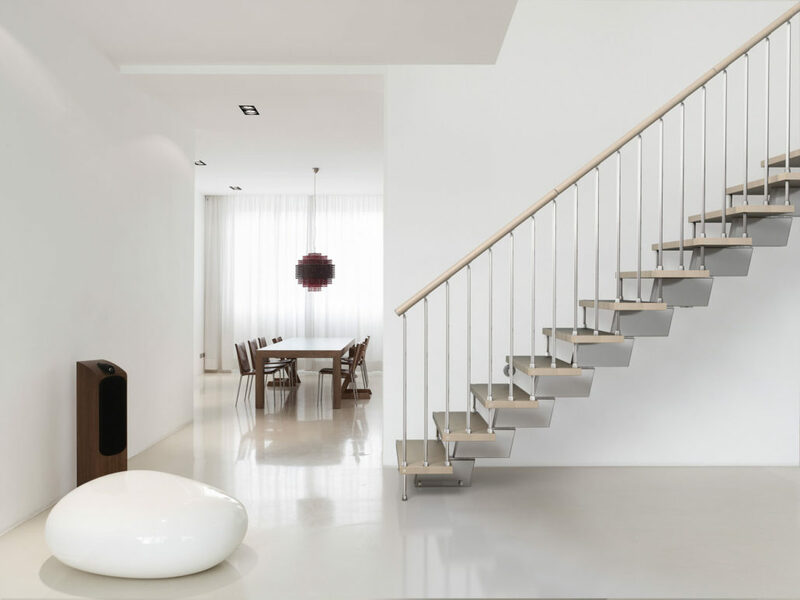 A cantilevered staircase will have a steel beam embedded to support steps which will ‘float’ from the wall. These flights require a decent structural wall and require a lot of pre-planning and design. 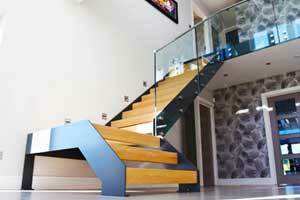 Treads are generally boxed hardwood and the balustrade is often frameless glass bolted to the side of the treads. 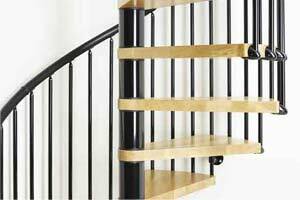 The cost of a new staircase like this will start at around £15,000 for a basic model. 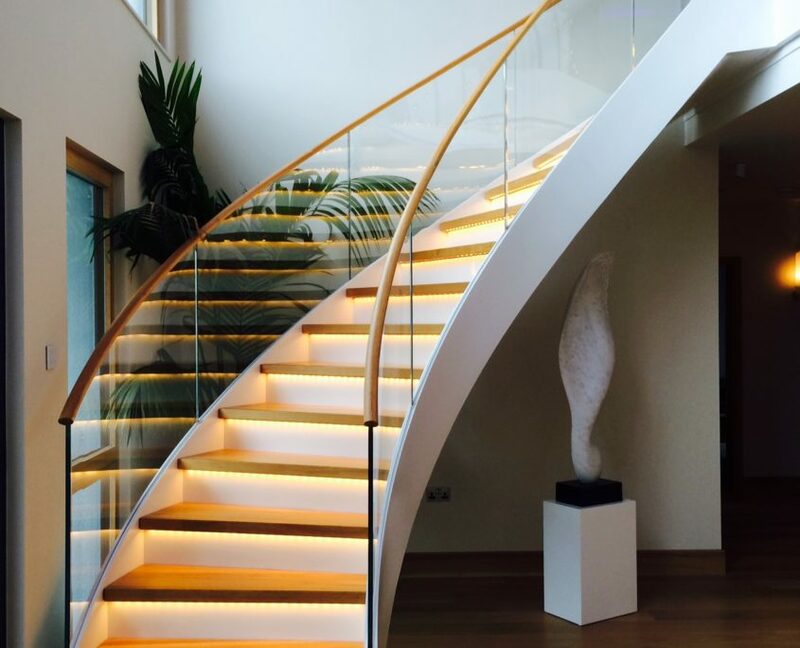 Helical staircases are formed in a swooping C-shape curve and in the right setting can be stunning – the ultimate wow factor staircase. 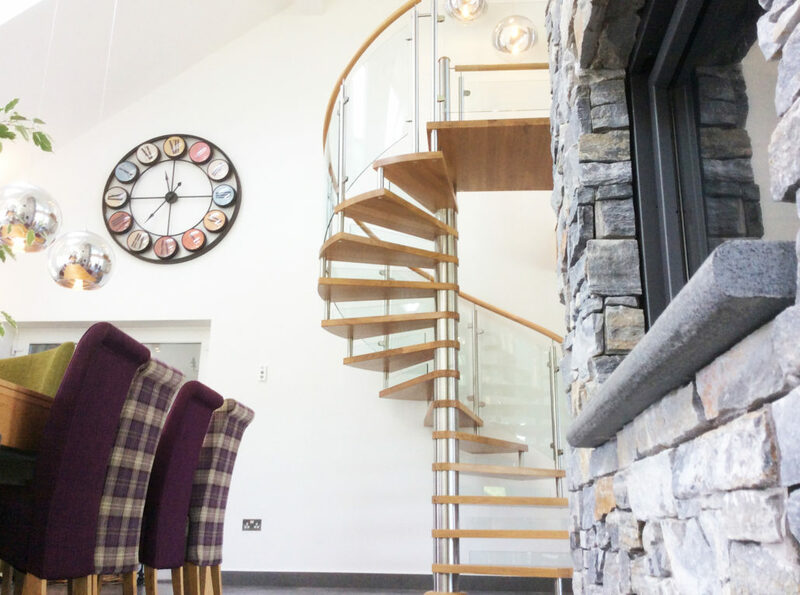 As they are generally away from a wall, balustrade is required to both sides and each element of the staircase design is slightly curved, so expect this to be reflected in the costs. 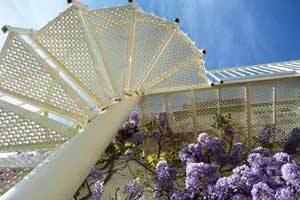 They can be constructed with timber, steel or glass or a combination of all three. 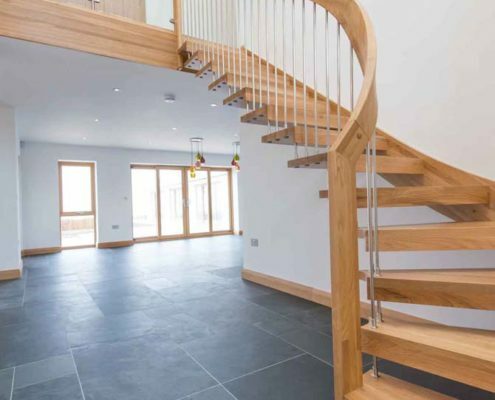 The cost of a new staircase like this would usually start at around £20,000. 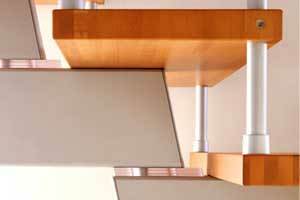 We hope this guides helps you in understanding the cost of a new staircase. Remember, think about how often the stair will be used. If it is the first item on display when entering the property, why not create something a little special? Should you have any questions or indeed if you would like a price – please contact us 01794 522444 – info@completestairsystems.co.uk. If you’ve seen something you like here or have a question about this post, then please get in touch. 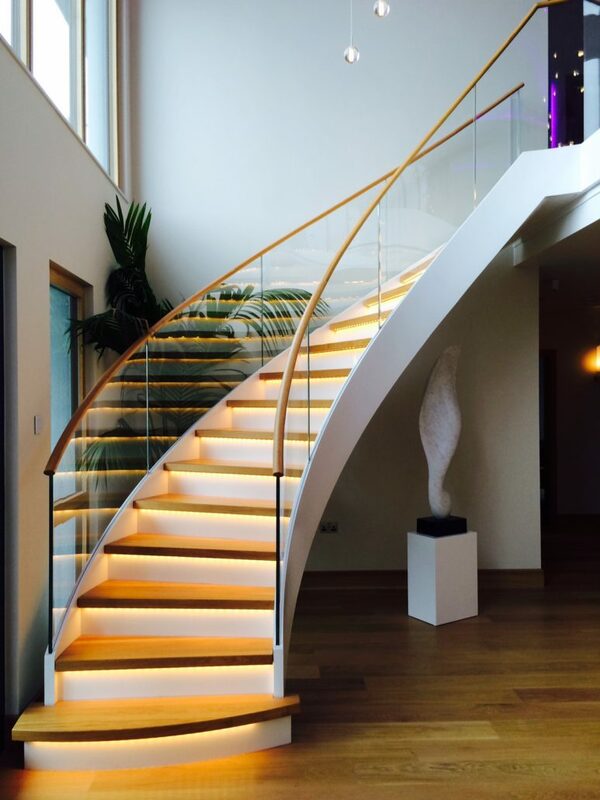 You can either call us on 01794 522 444 or email info@completestairsystems.co.uk. Alternatively, you can use the enquiry form.